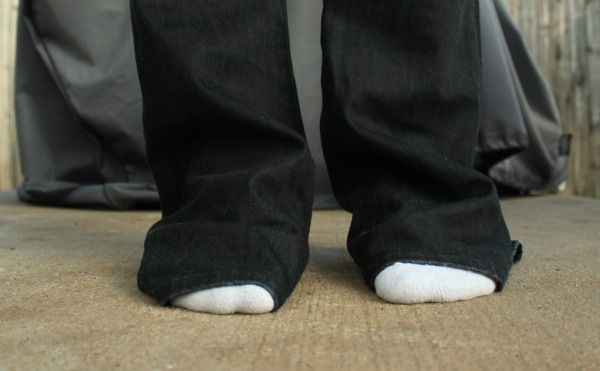 What do your jeans look like under your boots? Get ready to laugh. This is what's typically going on underneath my boots: This is usually my little secret unless I'm at the airport or unless someone asks me to take off my boots at their house. 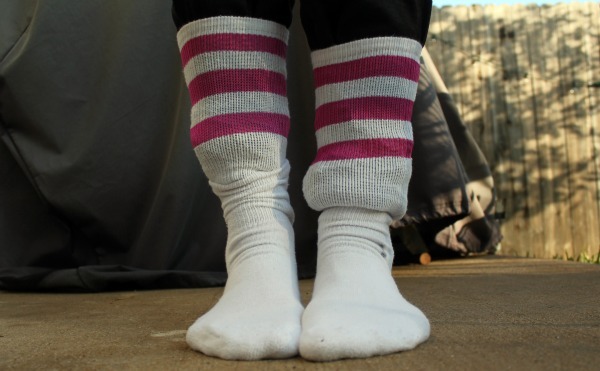 I'm sure if one were to give my booted ankles a cursory glace, she'd be able to see all this bulging. It's ridiculous, right? 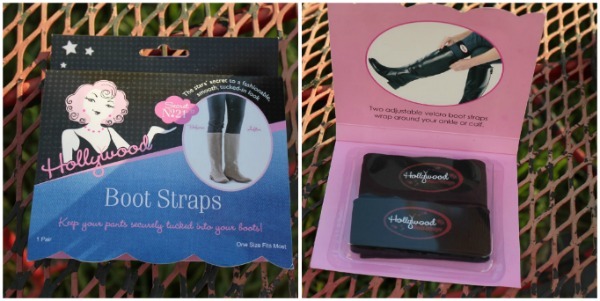 They're just stretchy velcro straps that tack your jeans down and keep 'em in your boots. I love that someone out there in the world said "No more jeans in my socks in my boots!" I've had these for two days and I've already used them four times. 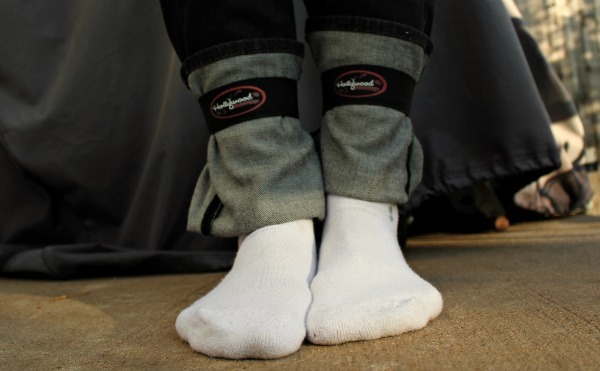 Part of me wonders if these got invented by someone who spotted this jeans- tucked- into- socks- insanity on me at the airport a few years back. (I need to get three inches taken off my new Earnest Sewn jeans), and there's also something called Hip Huggers which attach to your belt loops to close up pesky waist gaping. Please, only one entry per person. I hope you win!